Alien life invaded the earth, almost all cities were captured, countless human beings were transformed into aliens and undead zombies, they have no feelings, they target only the desire to kill. The survival defense forces and the rest of the survivors retreat to the last doom stronghold.How long can they resist aliens invasion? And you, as a former aliens agent, do you have an unknown past? Death or survival, behind you are family and friends, you can not retreat, only to pick up weapons,ready your aim! ·3 exciting game modes: alien invasion, survival battleland and online multiplayer PVP mode. ·Most of the 100 zombie targets with the same screen.Survive the undead! ·New multi shooter PVP mode to survive with other survival of the world! ·The epic game plot, each character has their story. ·Huge world map, to complete all tasks, to solve the final death. ·Huge arsenal, from conventional rifles to alien plasma guns. ·Smooth manipulation, like fighting in real star battlelands. ·Professional sound team to create an impressive background sound effect. ·The best optimization is able to run smoothly on various devices. ·You need stronger firepower and more bullets. Please upgrade your shooter’s weapons. 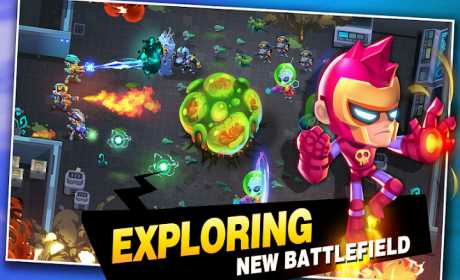 ·You need to move faster and avoid attacks from zombies and aliens in the battlelands. ·Please upgrade your armor in time, and it will make you live longer in the battlelands. ·Finding hidden scenarios will enable you to acquire more powerful alien technology weapons. ·Take part in the global multi survival shooter PVP, where a lot of resources can make you grow fast. ·Heavy weapons such as grenades and machine guns can effectively cope with the zombie tsunami. If you’re a true fan of zombie and alien shooting game, you can’t miss this interesting zombie shooting game. 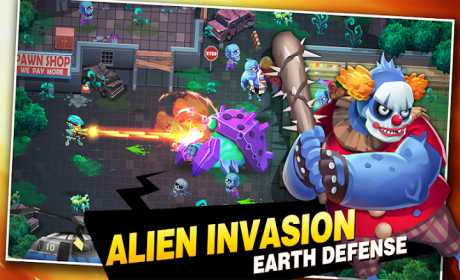 zombie battlelands alien invasion war. Be ready to kill all the alien invaders and save the last humans. 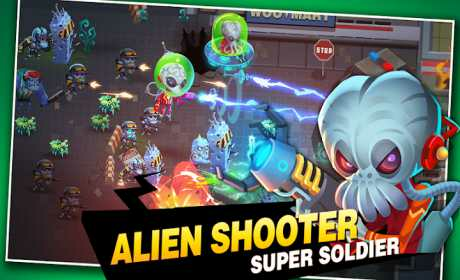 Aliens Agent: Star Battlelands is free action game for you to play, but there are in-game goods for you to purchase. Zombie Killer, love Zombie Alien Shooter?